Today’s guest blogger is Isaac Atia, Founder of 10BestRanked, an authority blog that reviews the best vacuums for pet hair(among other products) here. Isaac wrote for us some awesome tips about getting your pet ready for the winter. Ready? Here you go! As the cold winter days kick in, you must be worried about how you are going to keep your family warm and comfortable. While at it, you should not forget that your pet dog needs additional care and protection during this cold season. Why is this important, you must be wondering? If not properly taken care of during the cold winter days, the dog will be predisposed to such health conditions as Hypothermia and Frostbite. 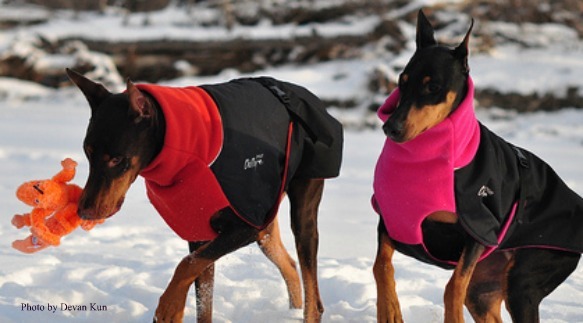 Just as humans do, dogs also need additional protection against cold in winter. This is particularly the case for the small and delicate breeds, puppies and the short-haired dog breeds. As a rule of the thumb, you should ensure that your dog remains dry, warm and well protected from drafts. If the dog is shivering, anxious, whining or holding up its paw, you are not giving it enough protection against the cold weather. To begin with, the dog house should be of the right size for your dog—not too big or too small—and the bed should be elevated above the ground. 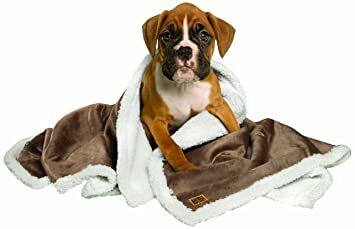 You should also get a blanket for the dog. During the cold winter months, dogs are known to burn more energy in an effort to produce additional heat. As such, they require more calories in winter than they do at any other time of the year. To determine the actual amount of calories the dog will need in winter, you need to consider several aspects, including its activity level, age and body size. However, you should give the dog extra calories in winter than you normally do. In order to keep the sidewalks and streets passable in the freezing temperatures, sand and salt come in handy. However, this may not be a good idea for dogs. The sensitive dog paws are known to absorb chemicals, which may then lead to cracks or soreness. 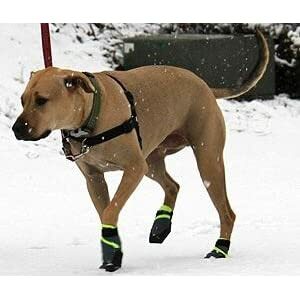 To keep the paws warm and well protected from such chemicals, it is advisable to buy your dog the right booties. Since some online stores allow for dog booties to be returned, you must ensure that you get the right size for your pet. Some dogs may be wild to booties and may take some time for the dog to get used to them. As such, you should start with short walks to allow the dog time to adapt to its booties. Most antifreeze products comprise of green ethylene glycol and can be fatal when consumed by dogs. As a matter of fact, a teaspoonful of antifreeze can cause kidney failure in your dog. Some of the signs that your pet has swallowed the chemical include excessive thirst, vomiting, panting, seizures, as well as a drunken and lethargy appearance. As such, you should always ensure that your antifreeze is safely tucked away. You should also ensure that the dog does not consume residues of antifreeze in the streets while you are walking it outside. As the temperatures drop, the weather outside your home becomes hostile to your pet. As mentioned earlier in this dog winter safety checklist, continued exposure of the dog to the extreme temperatures can lead to serious health complications. For instance, continued exposure to the cold weather can cause frostbites, especially on the delicate parts of the dog, such as tail tip and earflaps. Frostbites in dogs are mostly characterized by a blue or white coloration on the affected areas. Unless you own the heavy-coated northern dog breeds—which are known to be more tolerant to cold weather—you must ensure that your dog remains indoors most of the time. Sleet, snow, wind, ice, low temperature—some of the harsh conditions associated with the winter season—are just as harmful to dogs as they are to humans. In addition to keeping your pet warm and comfortable, the various measures included in this checklist will keep your dog healthy throughout the winter.